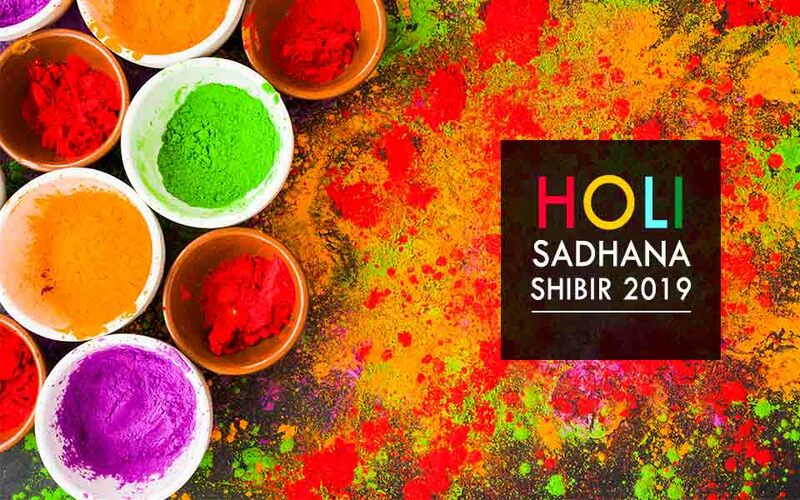 The 2019 Holi Sadhana Shibir was held at Banara, Odisha from 28th Feb to 3rd March. Nearly 1,000 devotees from all over India and the US descended upon the campus grounds of Jagadguru Kripalu University (JKU) for this momentous occasion. The sadhana hall was jam packed for all sessions and everyone experienced showers of divine grace during the different events that unfolded during these four days. People eagerly soaked in the kirtans on the first day as they left behind the worries of daily life and settled down for four days of sadhana. This shibir turned out to be a life changing experience for people attending the event for the first time. A beautiful life size deity of Maharajji was unveiled on the second day. Devotees found themselves speechless and spellbound as everyone felt that Maharajji had physically arrived to bless them. They quickly recovered from the initial shock and welcomed him with hearts overflowing with love. Some could not stop themselves and applied a chandan (sandalwood) tikka on his forehead to celebrate the occasion. In the evening, everyone had the opportunity to carry him on the palki (palanquin) during the parikrama (evening walk) around the campus. The day left the devotees enthralled and spellbound to have Maharajji amidst them. Words are unable to adequately capture the sentiments of gratitude, joy, and love that were overflowing for this once-in-a-lifetime event. Fun and frolic continued the next day as devotees celebrated the joyous festival of Holi. It started with playing with colors and applying a gulal tikka (tilak of red powder) to Maharajji and Swamiji. Soon Swamiji was drenched in everyone’s love and red powder. In the evening, devotees found themselves on the receiving end as Swamiji hosed everyone with rose water! Attendees enjoyed the shower of grace hoping the day would not end. The festivities ended on Sunday, March 3rd with a chappan bhog (56 dishes) that were offered to Maharajji. Devotees stayed up late at night or woke up early morning to prepare the dishes. There was a variety of fruits, sweets, and cooked dishes. A simple and delicious beetroot salad was the offering on behalf of all the devotees from outside the state of Odisha and from the US. After feeding Maharajji, devotees ate lunch and packed up. They were sorry to see the festivities come to a close as the four days felt like four hours. It was a bittersweet separation as their hearts were filled with pain, love, joy, and gratitude.